All imagers have a limit to the ratio of the brightest object to the darkest object that can be distinguished in a single image. This is called the dynamic range. Many machine vision applications involve bright, shiny, or dark objects that challenge the dynamic range of the camera. To solve these cases, a series of images with different exposure level can be captured to create a single HDR image with all the detail that needs to be included for the inspection. Image 3 allows the barrel connector and other dark components to be seen, but the text and component leads are oversaturated; the LEDs are completely washed out. 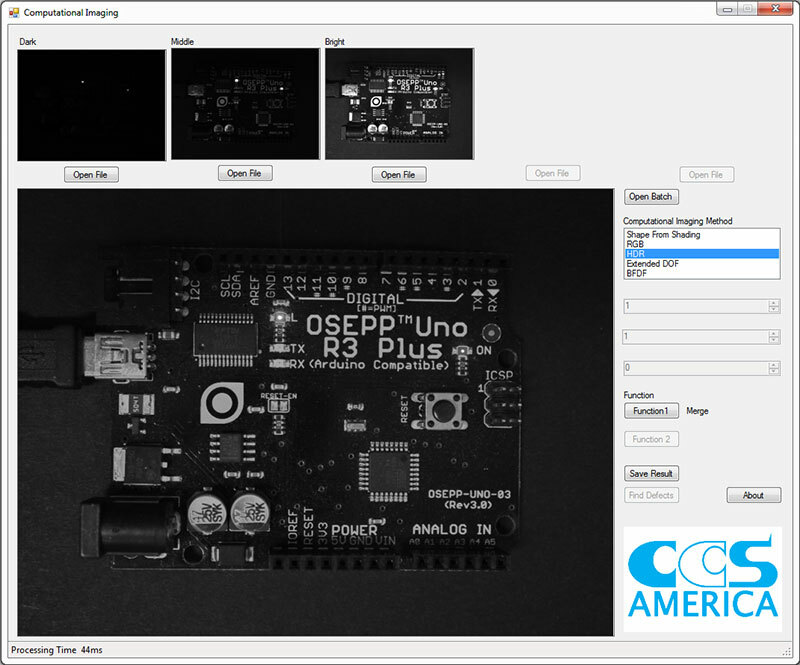 The HDR image allows correct exposure of the bright LEDs, proper saturation of the silkscreen and component leads, yet the dark components can still be seen. 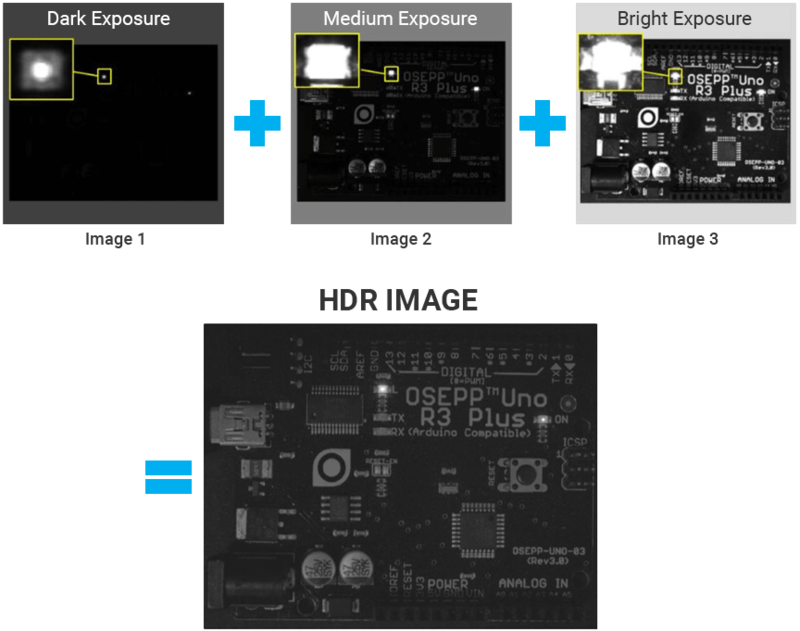 Implementing HDR using computational illumination offers distinct advantages over traditional HDR techniques performed in-camera. Because all 3 images in the computational imaging sequence have full dynamic range at each exposure level, the resulting HDR image has greater dynamic range without the noise of in-camera techniques.